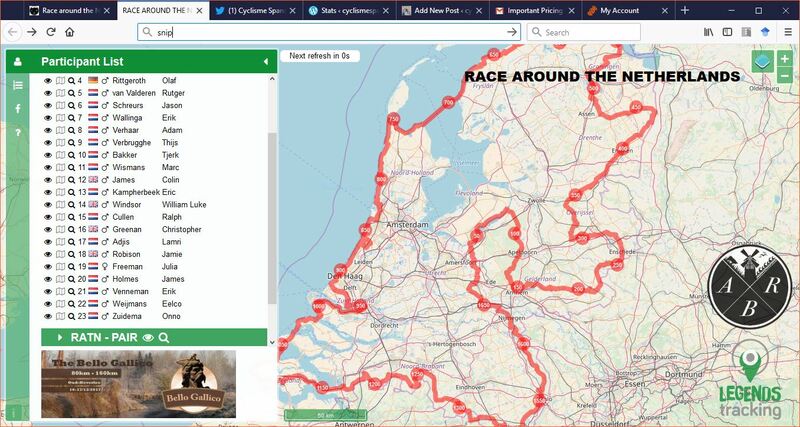 The tracker is up (rider 14), and on May 1st I’ll be starting the Race Around the Netherlands. catch my return flight so I can wish my youngest Happy Birthday! I would post a kit-grid but I am so disorganised that it would just be a pile of stuff on the floor. Also I am still recovering from a heavy cold, and feeling VERY UNPREPARED. Edit: detailed chronicle of my successful race here. Oh dear what can the matter be? There was a time when throwing up in the middle of the night in a Northern town might have involved drink and drugs. These days I’m better prepared (bivvy bag) but it’s cycling that drives me past the point of physical no return. 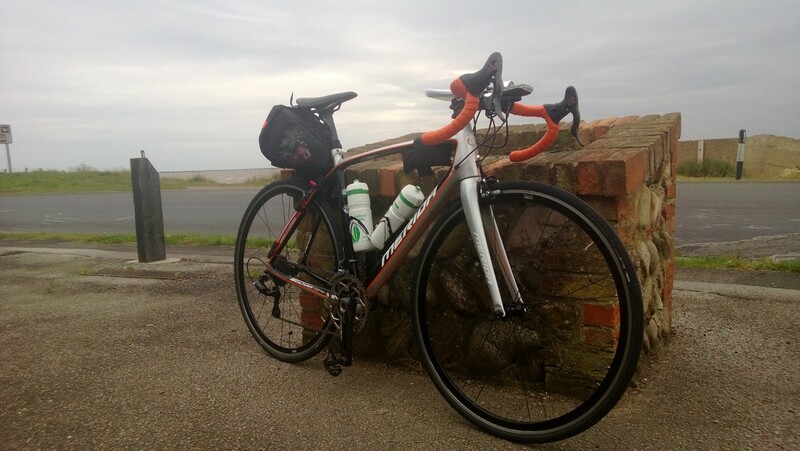 Two rides in a row now have ended in physical and mental collapse around the 300 km mark. You may think this is normal and unsurprising, but in over 20 years of long distance cycling I’ve only ever quit three audaxes: once through over sleeping and running out of time and the other two this season, in similar circumstances and in close succession. 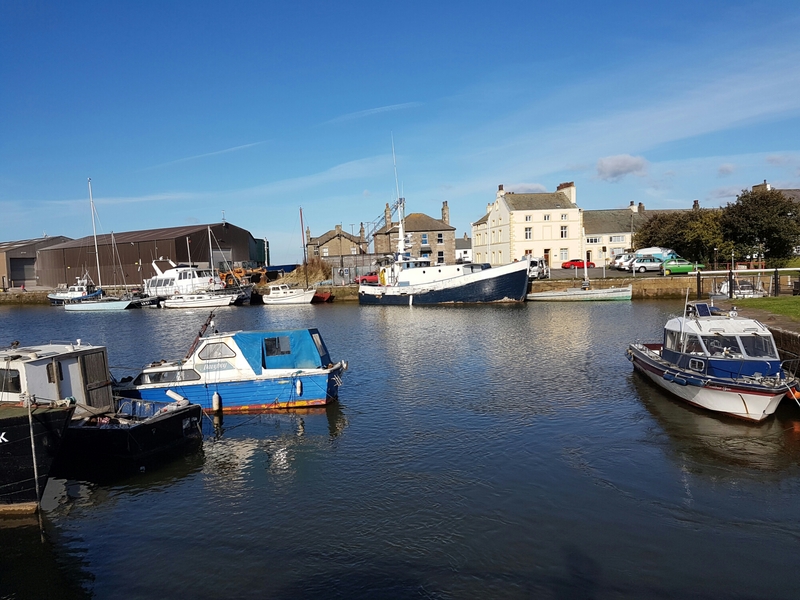 My most recent ‘failure’ is particularly telling: having ridden 200 or so km to Glasson in the Fylde, and managed to navigate around a closed bridge and a swiftly mended puncture (first this year), I descended into chaotic failure mode surprisingly quickly. I clearly hadn’t eaten enough before reaching Glasson (where I inhaled a burger) and wasn’t functioning properly. I was following a mandatory route and hadn’t really had any navigational issues but my Garmin routed me in completely absurd way following my stop, dumping me onto a bizarre network of minor roads and cycle paths, all in roughly the right direction but none anywhere near my planned route. In a better mental state I might have noticed earlier, but I had clearly gone into ketosis and that state where the body is OK but brain is starved of fuel. Hence, Colne at around midnight, opposite a full hotel. 307 km but a fair way still from home. Sick twice and shivering. I was offered help by a lovely taxi driver and a BMX bandido, but by that time I’d called for help from my angelic partner as I was in a worse state than on the Old 240. Learnings: I’m switching to using my smartphone and ride with gps app for navigation if I ever do this again. I’ve done two DIYs before with no issues but this was a complete navigation disaster. And some thoughts about taking on more fuel (possibly liquid). The main realisation though is that as I get older I may need to reduce the intensity of my training and ride longer distances (there’s lots of good advice from ironman triathletes on this it seems): I’ll let you know how I get on. A handful of receipts to be stapled together and posted with a card to a man I have never met. That is the goal. And it is a good one. Offshore wind farms in the distance make me ponder a future without fossil fuels: throughout the night I am haunted by Mad Max visions of a post-petrol world, the lack of traffic signalling a world dominated by pedal power and wind. In a park, on a path, as the rain steadily turns from annoyance into a heavy and unwelcome presence. The riding becomes dirty and sightless. All I can see is reflections from the water droplets on my glasses. 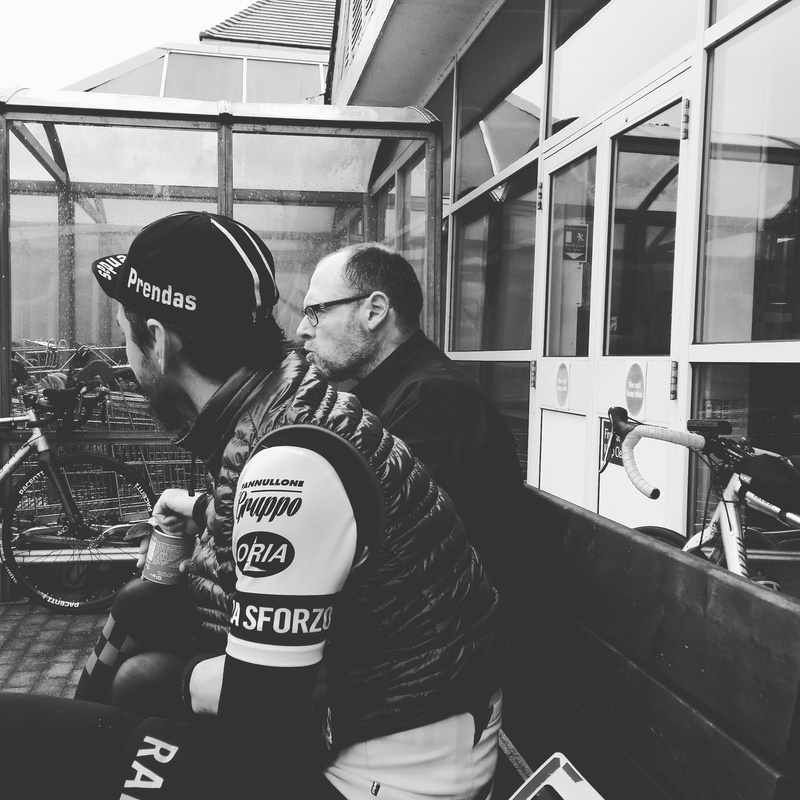 George, embedded in the Ashford peloton, deep in conversation as Gavin and I drift on and off the back, enjoying the stimulation but unsure of the pace. After the rain and the joy of an increasingly dry early morning, the gaps in our trio increase. We ride as increasingly silent and isolated units, becoming social only at the controls, but even here it is a grim task eating and drinking. The volume and diversity of bird song after the deluge, even before the sky changed from black to blue is an assault on my ears. 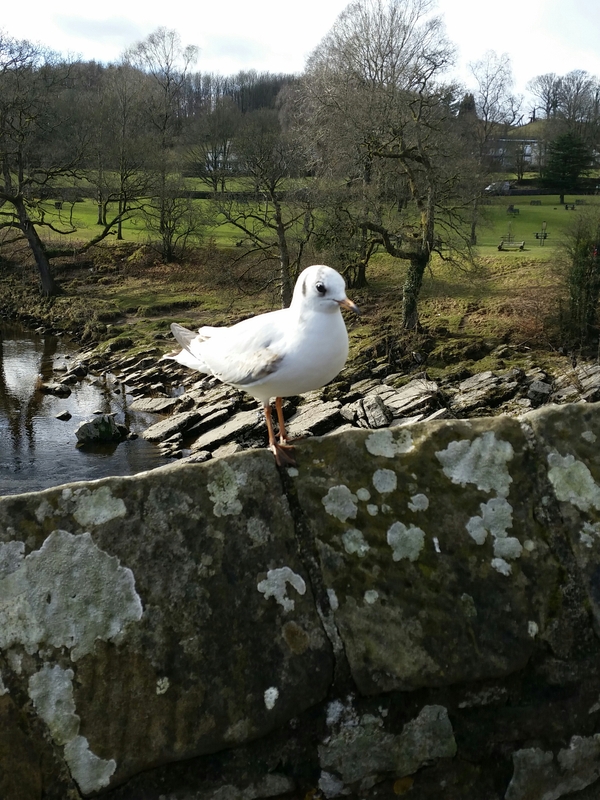 A seagull tells me we are close to the coast again, but I rarely see the sea. Only Garmin could manufacture a device which guides you perfectly along a route until an unpredictable moment where it ceases to do so. It is like a map for spies, designed to destroy itself before capture. Early on: a hill. Heart rate reaches 159 never to return. Later undulations register only as minor annoyances, slowing me down but making little impact on my increasingly depressed heart. 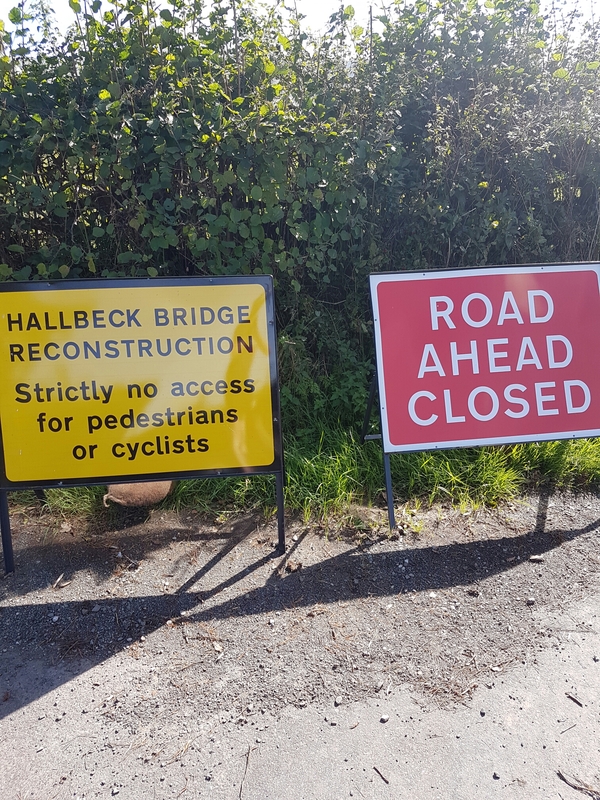 The joyless disappointment of the National Cycle Network – it is telling that the worst part of the route is dedicated to bicycles: what a sign of British failure. After. It always comes back to me like a Stockhausen piece. In this case a mixture of Goldstaub and Sternklang. And maybe a bit of Stimmung. I wonder what this will actually feel like? RWGPS makes route planning seem easy, but there is a surprise on every ride. After the familiar sections of Yorkshire are accounted for this route contains just enough mystery to imply a test for more than my legs. Between GPS and reality exists a fruitful gap which should get me into plenty of trouble. I could just get the train both ways and take my Brompton but I have convinced myself I am short of kilometers, and the allure of unfamiliar territory and a necessary change from my normal commute is just too tempting. 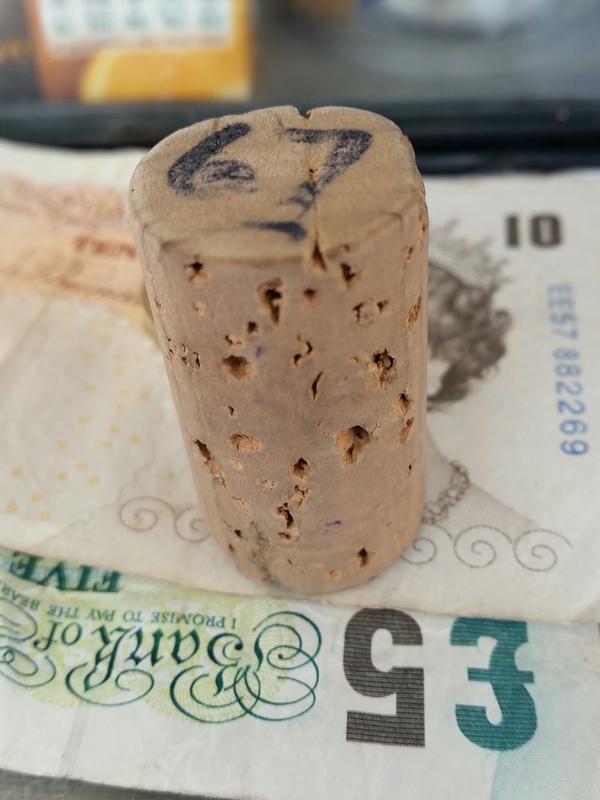 In particular, I confess to never having ridden the Aire Valley Cycle Route , and my experience of off-road cycle provision in the UK is rather mixed but generally leads to something “special”. I also have some serious thinking to do about work and here is a chance to let my unconscious do the work. I got lost again – but that’s not the story. Instead it’s about being ill 48 hours before the event, but being ready on the day. It’s about favourable winds, lack of ice or rain, the snow stopping five minutes before the start. It’s about checking and replacing worn wheels, and preparing all the equipment and food even before the illness is definitely gone. It’s not about being lost. It’s not even about finishing. It’s about starting. When I designed my recent DIY by GPS permanent 300 (over-distance at 340 km) <see here for a set of photos on my tumblr> I used the Strava route planning tool, which can be set to find most popular or least hilly routes between two points. I had already decided my control points, and chose to minimise climbing on the last leg between Lytham and Hebden Bridge. The other controls were Middleham and Sedbergh in North Yorkshire, and Glasson Dock and Fleetwood on the Lancashire Coast. What I didn’t realise was that the Strava tool would create a route so unusual in its variety of cycle provision. So although this wasn’t my intention, my overwhelming thoughts on this ride revolved around my experience of differing approaches to integrating bicycles with other modes of transport. 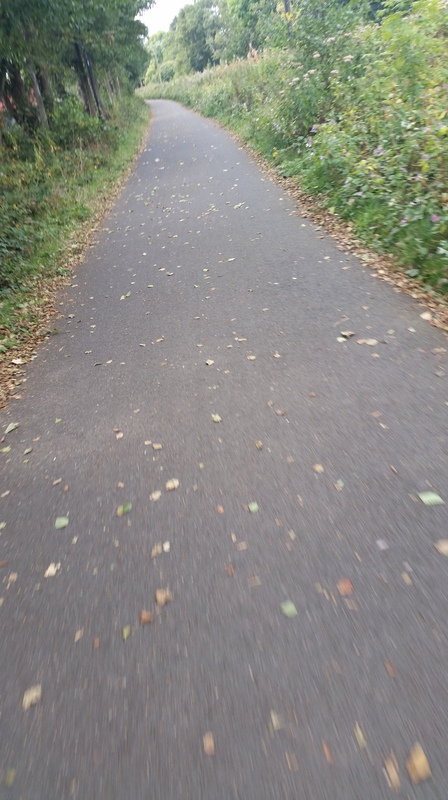 Although I wasn’t really going anywhere, my ride became about the surfaces and widths of path and road, the attempts made to combine cars, bicycles and walkers, the absence and presence of signage – all the things that puzzle me daily as I ride from home to station, station to work on my Brompton. 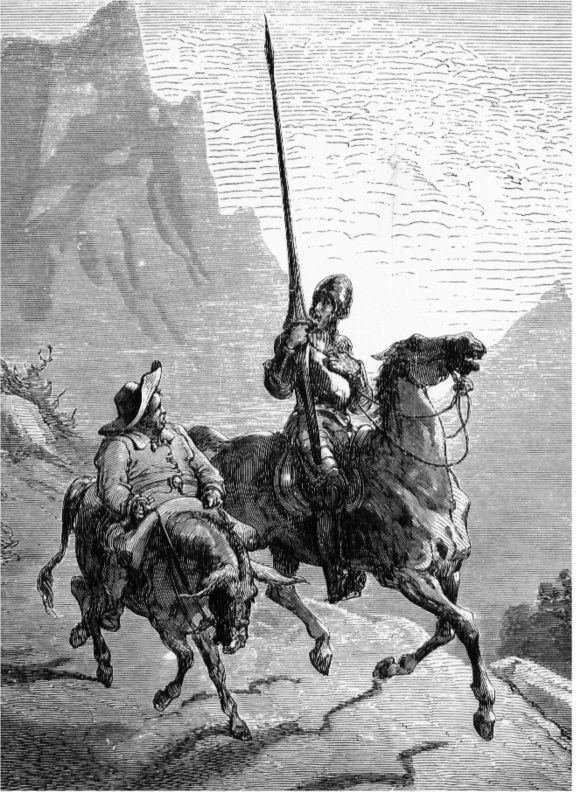 So for the remainder of this post I will revel in the phenomenology of the road travelled, divided up by types of road that offered different experiences, whether emotional or practical, with a final section on my experience of other vehicle-types and users, including the animals I encountered alive and dead. I rode them all, and much of my experience was determined by the presence or absence of cycle lanes, or indeed their nature (not all cycle lanes are created equal, see below). What I will say is that even the bits of A6 I had to negotiate were cycleable regardless of provision, and some of the A-roads were achingly beautiful and quiet even in the middle of the day. The oddest experience was the A-roads taking me back from Lytham to Hebden via the Lancashire towns of Preston, Bolton, Bury and finally Rochdale. Early evening they were full of taxi lunacy, but were fairly well appointed with cycle provision and the looming tower blocks of Rochdale were an evening highlight close to home. The most pleasant surprise of my route was the shared-use provision through Lancaster (part of the Way of the Roses, see below) and Preston (the Guild Wheel). 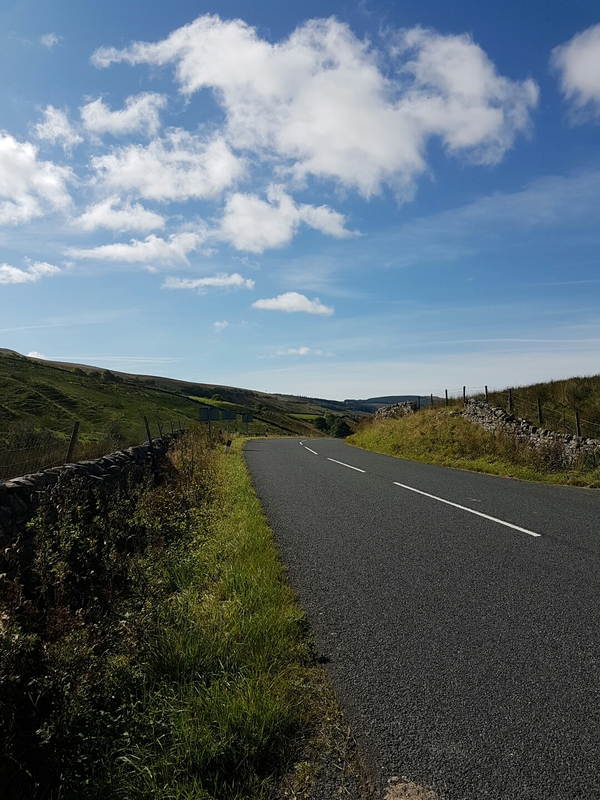 I fiddled extensively with this part of the route to minimise the use of such paths as my experience has been the surface is often unsuitable for a road bike, but left in some good lengths as an experiment and because there was no sensible alternative. I am delighted that I did because although I struggled to find the starts of such routes at times (and the exits) these provided an experience similar to Dutch segregated long routes, with a rather better surface than I could have wished for. I experienced no difficulties negotiating broken glass, runners, walkers, dogs or slower cyclists, and left these paths with sadness. 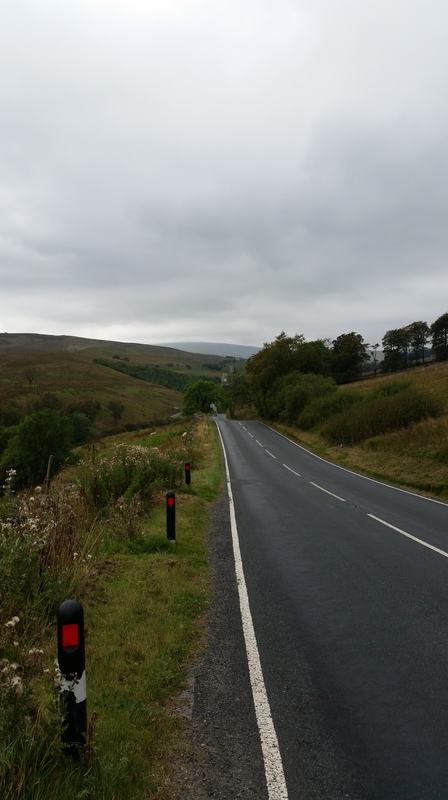 It sometimes feels like the most dangerous roads in Britain are its B-Roads, which have no cycle provision, may be narrow and permit high speeds. Most were fairly quiet and pleasant on this ride, and often provided a more scenic route, and minimised exposure to heavy traffic. I encountered a walker in high spirits in the Fylde on one who asked me how far I had to go. I think my response stumped him. One of the most common irritations of route planning is where a physical or electronic map predicts there will be cycle provision and it is defunct (or unfindable). There is in principle a rather wonderful shared-use path from Fleetwood down the seafront past the Blackpool “entertainments” which I joined full of hope only to be dumped back on the traffic-light blighted main road past the tower and pleasure beach. Much of the path is out of use until the improvements to the seafront are complete in 2017, and even when I re-joined it I couldn’t figure out how to stay on it and foolishly joined the busy main road through the illuminations. This had its upside, but more on that below. The best example of a cycle path that wasn’t was when my Garmin took me down a dead end in Fleetwood and tried to route me down a clearly “no-cycling” footpath (obviously a popular illegal shortcut). My most significant memory of an unclassified road on this route was the climb and descent of Park Rash. This is not a climb that forgives poor preparation or lack of determination, nor does it admit those that select too high a gear. I struggled with the loneliness and quiet on the ascent, although on the up-side of the climb visibility was good enough to be crushed by the sublime surroundings. No cars on the ascent, and two on the descent – no walkers either: and my going down was immersed in early-morning mist. No views, just the sheep, rabbits, grouse and other birds and mammals – including those dead from being hit by cars and one freshly killed by a bird of prey that was scared by my approach from its kill. In general, although occasional encounters with cars and animals needed some care from me, these roads were straightforward to navigate but lonely. Road surfaces were generally poor, but by no means the worst of the ride. 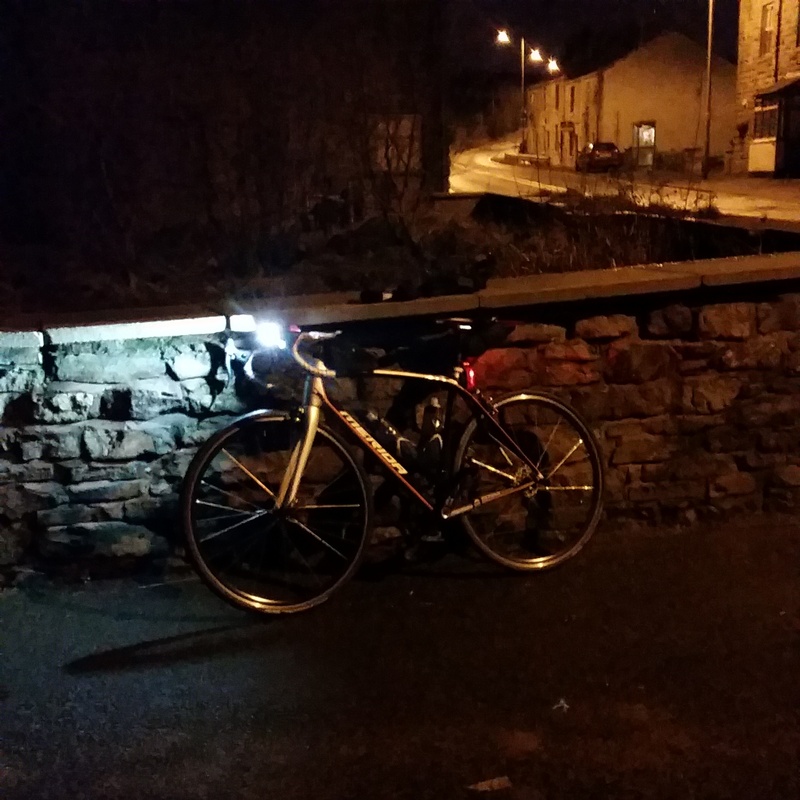 The exemplar was riding from Hebden Bridge to and through Keighley before dawn. Quite an unusual experience as I would normally avoid riding through Keighley like the plague. Almost zero traffic, ghostly quiet. Like a disaster movie. Oh the horror of them, too narrow, strewn with road debris and often parked in. Also, due to the time of year, full of nuts and seeds dropped by overhanging trees. Ugh. I encounter these rarely, but was fairly impressed by some of the wider cycle lanes with a cross-hatched separator. Sadly the lack of traffic tends to mean they are full of debris, but at least they were wide enough to feel a bit further from heavy traffic. Riding early mornings tends to rouse the wildlife, and I was inundated with animals, and birds that are normally hiding from the noise of traffic. 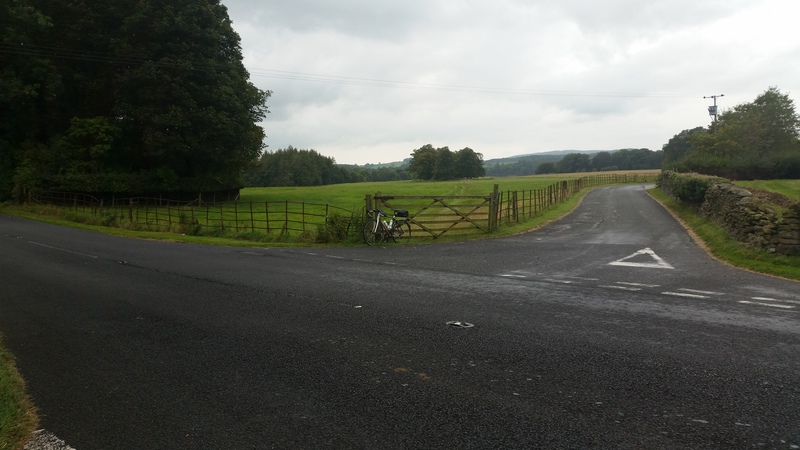 Sheep were the main feature of North Yorkshire (and trying not to hit them); plentiful road kill was in evidence (see above on Park Rash) but the really prevalent feature of the ride was the plague of tiny insects that I spent most of the day riding through. Something about the Indian Summer we are having brought out clouds of unidentifiable bugs which I could feel hitting my skin on the descents. The other really unusual experience was being held up through Blackpool by the horse-pulled carriages along the seafront. I was tired enough by that point to experience the beginnings of intense road rage: thankfully I escaped on onto the quieter A-road to Lytham. Details of how to enter and plan a DIY Permanent are here. You have to join AUK to play, but it was a really interesting experience and one I would thoroughly recommend. What could possibly go wrong? 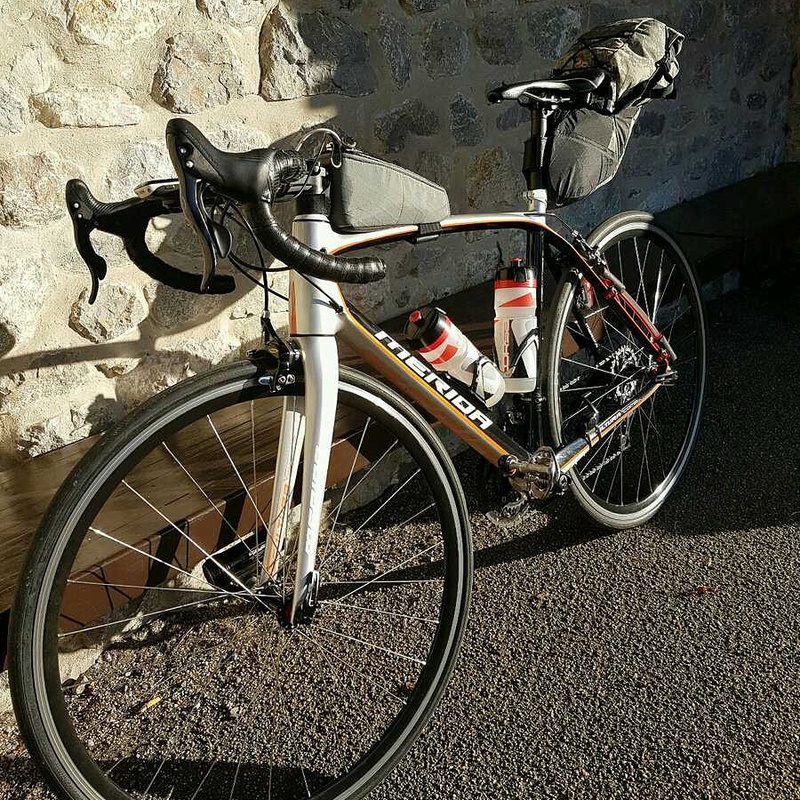 A week of intense work stress and very little sleep followed by my first 400km Audax (randonnée, brevet) in 10 years. Actually, quite a lot, as it turned out, but little of it to do with my physical condition… after all, I know I can cope without sleep and I have more kms in my legs thus far this year than I have achieved since my 20s. After finishing the ride (I won’t keep you in suspense) I have quite a lot to think about: some good, some bad, and even some very, very ugly!